Microsoft Cloud has emerged for quite a while and become a huge competitor in the cloud market. With the vision to be the market leader in Cloud industry, Microsoft has non-stop introduced more values from its Microsoft Cloud services for users. To know more about Microsoft and the core values that it offers, let’s read the article herewith. Microsoft Cloud is a collection of cloud computing-based applications and platforms we can select the applications, the platform provided by the software to deploy the system to meet the needs of our business. Microsoft Cloud comprises Microsoft Azure, Microsoft Office 365 and Dynamic 365. 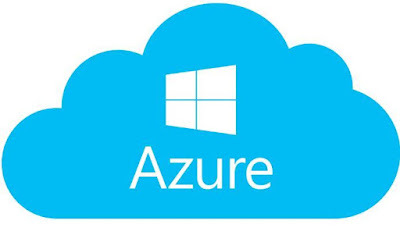 Microsoft Azure (formerly Windows Azure) is a cloud computing service created to build, test, implement and manage applications globally. Microsoft Azure services include compute services with SaaS, IaaS and PaaS, Mobile services comprising mobile Engagement and Hockey App, storage services with REST and SDK APIs for storing and accessing data, Data management with Azure Search, Cosmos DB, SQL Database, SQL Data Warehouse, Data Lake, etc; CDN. Azure has more than 100 services with powerful data and intelligent services. Microsoft Office 365 is very familiar with a lot of users nowadays. Office 365 is the subscription packages offfering the access to Office applications and other business productivity services provided on the Cloud services, such as Lync webinars and email hosted on Exchange Online for businesses and online storage, plus SkyDrive and free minutes with Skype around the world for family. Dynamic 365 provides end-to-end applications that help businesses empower their resources, engage customers, and optimize operations in customer service, marketing, retails, business central, etc. Microsoft Cloud can benefit the company in a number of ways, depending on the size, field, and strategic objectives. It provides the ability to use IT services on demand - as and when required - Instead of signing commitments for large-scale capital projects which consumes thousands of servers and software licenses with limited time of usage. The use of IT services on the cloud helps keep costs down. At this point, businesses simply become consumers for IT services instead of hardware owners. Microsoft Cloud providers are responsible for the server, software and network management. IT professionals can be assigned to other tasks. They no longer need to spend the day just to make sure their large number of computers work smoothly. Cloud service providers use specialized teams with a single responsibility to ensure continuity and consistency of service. Cloud computing vendors are responsible for maintaining and upgrading servers, rather than businesses, to save both time and money for cloud users. When cloud providers invest in new solutions, it will be provided to customers, allowing them access to advanced tools and applications at no additional cost. With Microsoft Cloud services, employees can access data virtually from anywhere. They can access important files, data, documents and IT tools of any device with just an Internet connection. They can log in your work email, office applications, virtual private server, database, CRM and video conferencing virtually and at all over the places. Using Microsoft Cloud services, businesses are assured of the fact that, under any unexpected circumstances, the business operations of the company will not be interrupted. If your office has a fire, flood, theft, loss of technology, or snow that prevents people from coming to your office, they have the option of working from somewhere else and still be able to access the data. Normally, there is available access to the desktop, and continue to work as usual. All documents, files and data are stored in the cloud, meaning they are accessible virtually with certain levels of security login. In the early days of Cloud advent, concerns about the safety of off-premise data archiving were considered to be significant barriers to service use. However, because cloud computing has matured and immersed deeply in the world today, and entrepreneurs have become more aware of the principles of operation, the fears have subsided. Not to reduce IT security but to some extent cloud computing has improved the defense of companies. This is because cloud service providers use enormous costs to secure their central infrastructure, keeping their data safe. Suppliers benefit from economic scale - they have the capacity to invest in the latest solutions and prevention methods, whereas very few single businesses can do so at such a level. Cisco’s Global Cloud states that the growth of IoT applications has made the demands for data center. This number is forecast to boost by 2021 reaching 13.7 billion. Cloud computing will be replacing physical data center gradualy and there will be around 628 public cloud data centers globally by 2021. These days, Microsoft is trying to appeal more customers to its services by gifting cloud storage. That is a competition strategy to lure users away from Box, Dropbox and Google. So it can be seen that Microsoft has been really focused on Cloud service in its business. The article has introduced about Microsoft Cloud and its core values to the users and society. If you are looking for a secure hosting solution for your company, take a look at Microsoft Cloud provider.